· Visiting those blessed places where Divine Mercy of Allah Almighty descends. · Being present in the Court of Allah Almighty. · Accepting the invitation of Allah Almighty just as Hazrat Ibrahim A.S. did. · Keeping alive the soul of the unmatched sacrifice whose foundation was laid by two great Prophets of Allah Almighty. ·Those Muslims who perform Hajj have the same feelings and passions revive in themselves that Hazrat Ibrahim A.S. had four thousand years earlier. · It is very difficult for the outside world to understand how people from many different countries can all be dressed the same and speak the same language because each country has its own language, customs and manners. However, in Makkah during the Hajj people from all over the world are all dressed the same and all praise and glorify their Lord in the same way with the same words and actions. · It is also very difficult to gather Scholars from many different countries in the same place at the same time. But at the time of Hajj in Makkah, Scholars, philosophers and great minds from all over the world gather and exchange ideas an views on a variety of topics and subjects. This is also an important method in spreading the teachings and sciences of Islam to all corners of the world. · After performing Hajj a Muslim tries to forget his sinful past and makes an intention to lead a pure, sinless life. In actual fact, this is a sign of the Hajj being accepted that a pilgrim makes a firm intention to perform good deeds and develops a hatred for sins and evil. 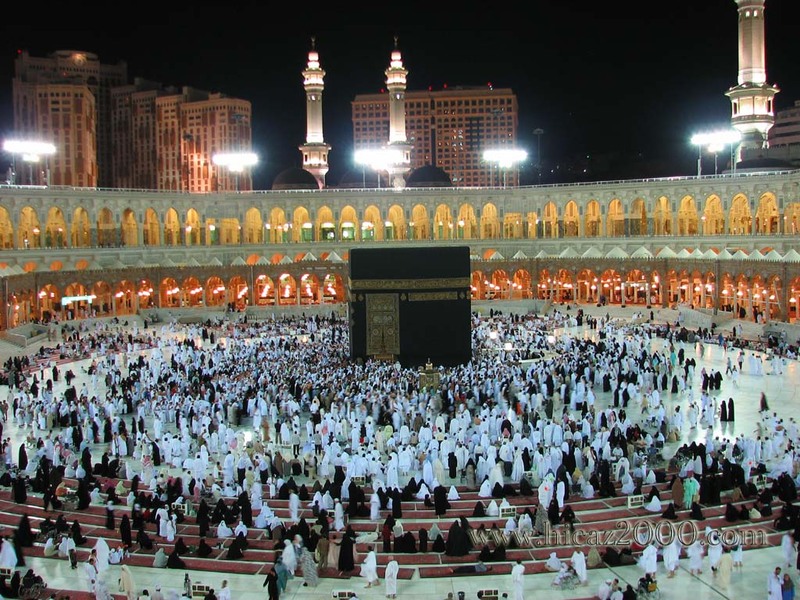 · In preparing to perform Hajj a person’s worldly life is also improved. For example, before leaving for Hajj he makes sure that his family has enough money and supplies to last them until he returns. He pays back any debts that he owes to people, apologises to those he may have upset or have ill feeling towards, tries to make up with those he may have fallen out with and fulfils the rights of others that he may be owing. · Performing Salah with congregation (Jama’at) is a lesson in equality but the lesson we learn in Hajj is equality on an even greater level. This is because whether one is rich or poor, learned or illiterate, elite or common, all are dressed exactly the same, in the same condition, with the same passions and are all standing in an open field seeking the mercy of the Lord. There is no special or specific place for any person. Rather, wherever a person finds space is his place to stand. · Seeing this huge gathering reminds a person about the Day of Judgement as on that day it will be a similar situation with people of different colours, tribes and languages all standing before the Supreme Lord.